The variety of soil substrates is a great one. Basically, soil provides your aquatic plants with the very best basis for healthy growth and adapts your tank water to the requirements fish and shrimps from soft-water habitats need to breed. 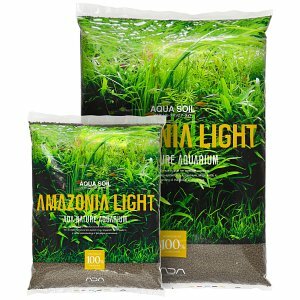 Aqua Soil Amazonia by Aqua Design Amano is especially rich in nutrients. Environment Soil by GlasGarten makes your tank water extremely clear from the very beginning and is especially sought after by shrimp keepers and breeders. 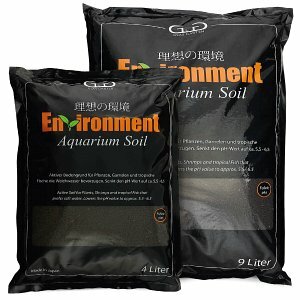 This soil brand is also highly suitable for planted tanks. Soil substrates are offered in various granule sizes. "Powder" type soils are very fine-grained and make planting considerably easier. Moreover, in nano tanks this type of soil looks very much to scale. However, it is also recommendable for larger aquascapes. There it is used as uppermost soil layer, where it enables ground-covering plants to take root more easily. Their delicate roots have a better hold in this substrate, and the plants have less tendency to become buoyant. The standard grain size is recommendable for larger aquascapes where more soil volume is required. Advanced Soil by H.E.L.P. is a hybrid, with fine as well as coarser granules, a so-called multi type soil. 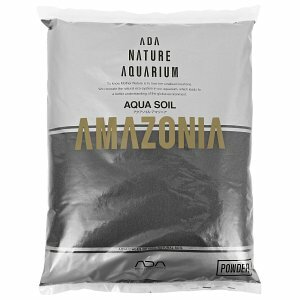 Aquatic plants take root very easily in this mixture, and you do not need as much soil to get the same volume as with a powder type. The most prominent characteristic of soil substrate is its ability to maintain a shape for a long time, e.g. if you want your substrate to form a hill or a small mountainscape. Sand and gravel will flatten out again pretty soon, whereas a slanting hill moulded with soil will remain stable for a long time. All in all, soil substrates are the best choice for an aquascape, and planted tanks in general. Soil is an active substrate for use in aquariums. 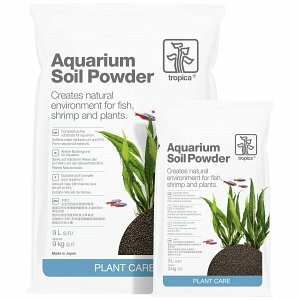 By being able to exchange cations, soils are able to provide nutrients for longer periods of time while also softening and acidifying the aquarium water. The total hardness, carbonate hardness and pH are reduced and adjusted to a soft and slightly acidic environment, which is preferred by many aquatic plants, tropical ornamental fish and invertebrates such as bee shrimp. 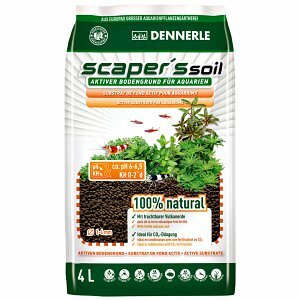 Soil is therefore the first choice for shrimp breeders, aquascapers and plant aquarists, to create optimal conditions in the aquarium. Soil substrates are manufactured from natural, volcanic clays. These clays are rich in trace elements and other minerals. Often soils also contain humic substances and fulvic acids, which are important for the general well-being and vitality of shrimp and fish. Contents of activated carbon provide excellent water clarity. Through a special manufacturing process, the individual, natural components are mixed, baked (sometimes multiple times) and formed into their typical roundish shape. 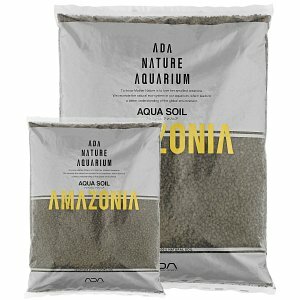 This special granulation leaves enough space between the soil kernels, ensuring a sufficient waterflow in the aquarium's substrate as well as a good supply of oxygen to the plants' roots. The risk of soil compaction is significantly reduced by this shape. Due to the occasionally repeated baking process of the clays, the soil granules become harder and more stable. In contrast to classic aquarium sand or gravel, soils remain a softer and more porous substrate. This increases the colonization area for beneficial, pollutant-degrading bacteria. In addition, the very finest roots of aquarium plants can better find grip in the grains. Unlike natural sand substrates or gravels, soil does not need to be washed before use. During the setup of a new aquarium, the soil is just placed dry inside the tank. This also makes it much easier to sculpt the shape of the substrate layer, making it possible to realize hills or slopes in an easy manner. Those slopes will hold even better, when keeping the substrate damp by spritzing it with a spray bottle. Also, the insertion of aquarium plants is facilitated because hardly any soil particles will stick to the hands or tweezers. Basically, a distinction is made between soils, which are particularly nutritious, and those, which contain little to no nutrients. 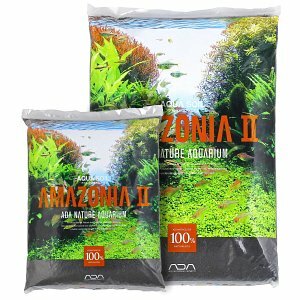 The popular Aqua Soil Amazonia by ADA is a nutrient-rich soil, abundant in nitrogen compounds and thus optimally promoting aquatic plant growth. 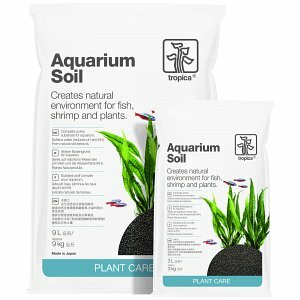 Other manufacturers like JBL, Tropica and Cal Aqua Labs offer soils, primarily designed for aquascaping and the keeping of aquatic plants. Low-nutrient soil such as Shirakura Red Bee Sand or the Environment Soil by GlasGarten are used in the breeding of soft-water-loving shrimp. In our online shop you will find a range of soils of different brands and in different shades from light to almost black. There are also differences in grain sizes: apart from the standard size, soils are often also available as a powder variant. This very fine grain is often used as the top layer in aquascaping, to improve the planting of small ground cover and their fine roots. In a nano aquarium, a powder type soil fits the ratio of such a small tank much better. Under the name "Multitype", some manufacturers additionally offer a mixed grain to improve the bond and stability of substrate structures.